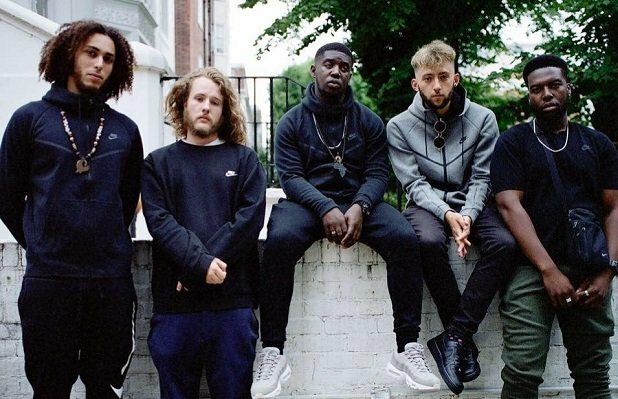 Ezra Collective have announced a UK tour for late November. Tickets for the shows go on sale at 10am on Thu 18 Apr. Ezra Collective have been on the rise for sometime now. The five-piece have are noted for their unique modern jazz sounds that have been described as a cross pollination of genres and influences. Radio DJ Gilles Peterson is a big fan who has been championing the group for some time on his BBC 6 Music show. Ezra Collective's debut album You Can't Steal My Joy is set for release on Fri 26 Apr. The record, which is available for preorder, follows on from their 2018 EP Juan Pablo: The Philosopher. Lead single from the new record 'What Am I To Do?' features London rapper Loyle Carner. The group also collaborated with singer Jorga Smith in recent years. The 2019 tour gets underway on Wed 20 Nov at the Rescue Rooms in Nottingham before shows in Leeds, Glasgow, Manchester, Brighton and Bristol. The final show takes place on Sat 30 Nov at the Roundhouse in London. Tickets for Ezra Collective's 2019 UK tour are available from 10am on Thu 18 Apr. The award-winning ensemble born out of Tomorrows Warriors UK organisation for jazz music, play a mix of reggae, hip hop, jazz and Afrobeats.